SNOW araw - Reading, England Feb 2009. Some mga litrato we took on the snowest araw since I can remember ... so 9 years or more. NO SCHOOL!!. 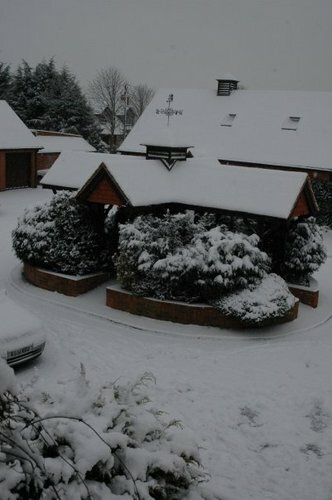 Wallpaper and background images in the snow club tagged: snow england reading hurst no school. This snow photo contains makapal na niyebe and snow bank. There might also be igloo and Iglu.